Just like in every city, Yerevan is all about holiday rush. In December, the city is transformed; you can feel holiday mood all around, the city is beautifully decorated and gets ready for the New Year. 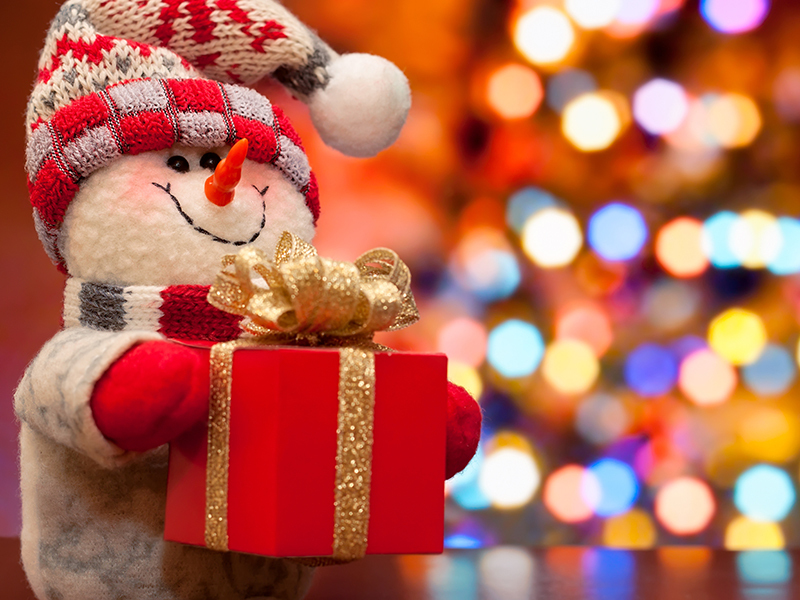 Of course, the most interesting and pleasant moment is holiday shopping. If you are visiting Yerevan during the holidays, you should go shopping and buy interesting gifts for relatives. Yerevan is a metropolis, the city has two large shopping malls and a great number of brand shops. For holidays in shopping mall there are holiday discounts, and almost every store has prepared presents for the customers. If you decided to make a great day of shopping, go to the Dalma Garden Mall (Tsitsernakaberd Highway 3) or Yerevan Mall (Arshakunyats avenue 34). In both malls you will find shops of world famous brands, as well as cinemas, food court and entertainment zones for children. If you are looking for unique and creative gifts, we offer to visit one of these stores mentioned below. Salt Sack first gift shop in Yerevan offers unique souvenirs and gifts. Handmade gifts are the most valuable, especially if the gift is made by the hands of Armenian masters. Besides of being unique every souvenir bought from Salt Sack can be used in the house. 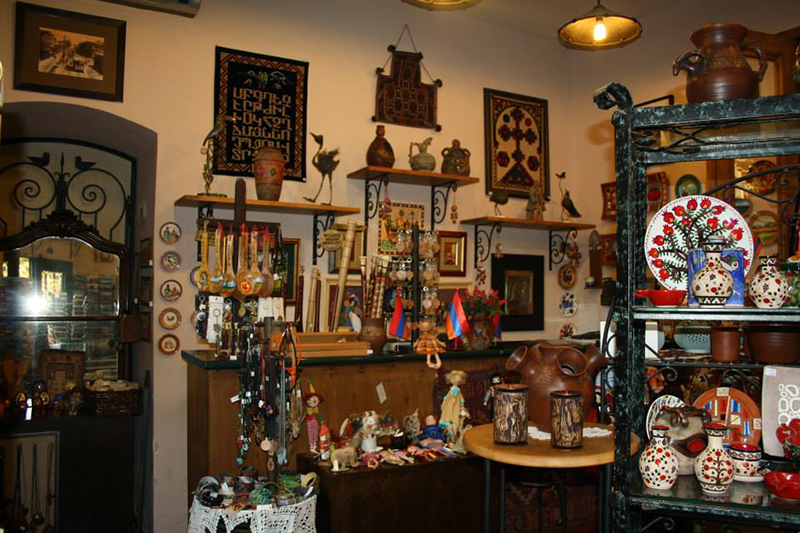 In the gift shop you will find interesting magnets with Armenian themes, rugs, candlesticks, ornaments, Armenian national costumes and much more. All the souvenirs are made in bright colors and decorated with Armenian ornaments. For the lovers of accessories we offer to visit the store, which presents the most unique collection of butterflies. The design of the store already makes clear that here you will find original accessories. 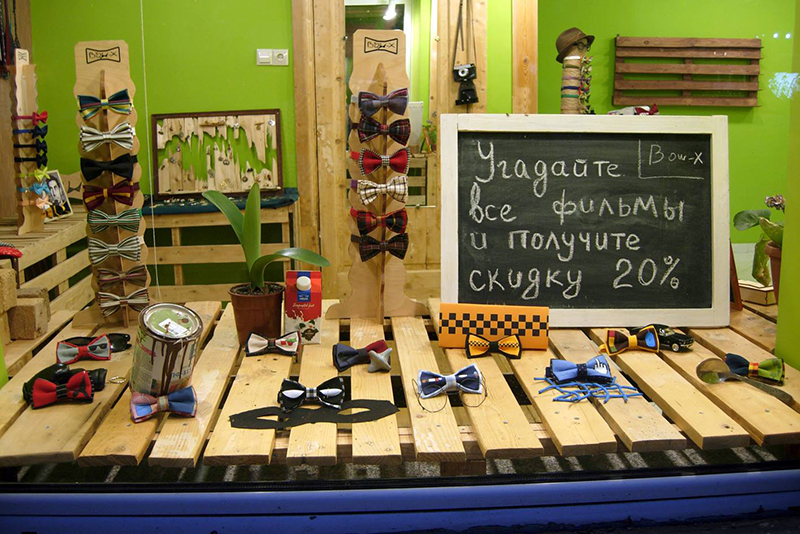 Bow-x offers the most vivid fun butterflies made of fabric and wood, collars, suspenders, ties and cufflinks. Pregomesh is the name of the brand that is known for presenting unique collection of silver jewelery. This is not just a decoration, this is an art that has revived the traditional jewelery craftsmanship, representing the jewelry with national ornaments. Pregomesh jewellery can be ordered from all over the world and get it shipped, but here in Armenia there is a shop where you can see and try on the jewelry. Yerevan has the sweet shop for real choco lovers. Gourmet Gourmet is anArmenian brand of high-quality handmade chocolate products. The uniqueness of the chocolate is not only in its high quality, but also in the packaging. Here you will find chocolate with packaging for everyone; for your beloved one, for children, for special occasions, gift boxes and chocolate bars with interesting packaging. The product can also be ordered with the chocolate theme and packaging you choose. It is impossible to pass by the Gourmet Gourmet, and as soon as you step the store you just cannot leave it without buying a box of chocolates. A collection of natural cosmetics is a perfect gift for a woman. 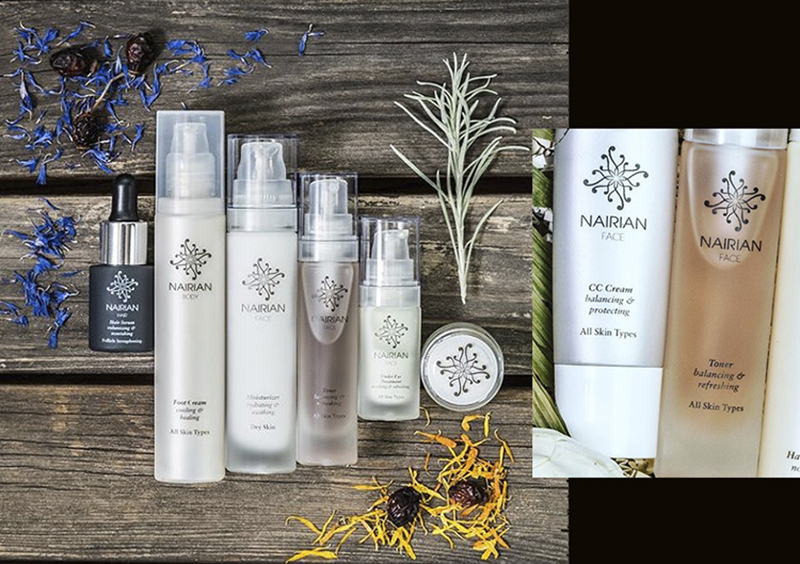 The fertile land of Armenia and the sun give natural products from which Narian Cosmetics produces exclusively natural cosmetics for hair, face and body. While producing natural cosmetics the professionals take care of your health and beauty, and this is the mission of the brand. The best gift is a book bought in Noyan Tapan bookstore. For more than 20 years Noyan Tapan bookstore is the most famous place where you can find all kinds of children’s books, encyclopedias and a huge range of books with more than 30,000 copies. 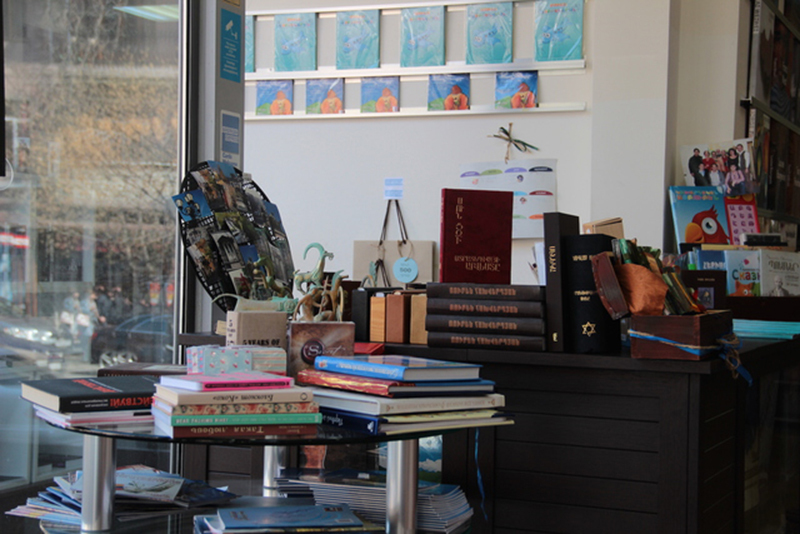 As soon as you enter Noyan Tapan you will stay there for a long time going from one shelf to the other. Besides of the largest collection of books here you will find a huge range of office supplies, as well as unique items for gifts.